Humans of the world, good news. Humans of New York photographer Brandon Stanton will release a new book of New York City stories this fall. Humans of New York is the tumblr account that made Internet procrastination into an artform. In his (probably miles-long) tumblr feed, Stanton chronicles New York personalities with a photo and a small quote or story. In an interview with the New York Times, Stanton said he was shocked by his own success. And New Yorkers' problems are more than validating, they're interesting. In his years of stomping the pavement, Stanton chronicled the woes of a one-legged roller bladder, the dog that can see both heaven and earth, the cowgirl, just to name a few. A simple idea that feels absolutely addictive? Yeah, it went viral fast. Today, Stanton has more than 8 million followers, an interview with President Barack Obama in his portfolio, and several book deals. This is Stanton’s third HONY-inspired book. 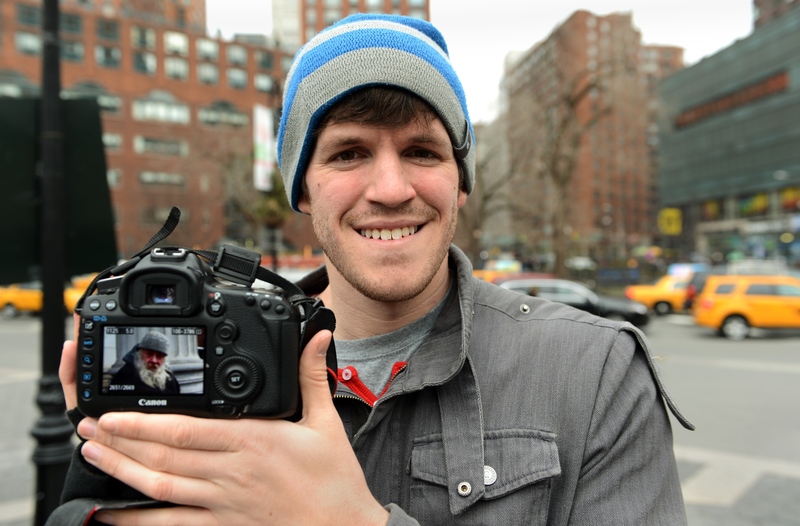 In 2013, he released the first The Humans of New York book to rave reviews and record sales. And in 2014, Farrar, Straus & Giroux Books for Young Readers released a HONY book for kids – Little Humans . The release date is set for October 13, 2015 – just in time to make it a holiday present for every human you can stand.